Who fires ministers in semi-presidential systems? This post summarises the main arguments in Cristina Bucur’s article, “Cabinet ministers under competing pressures: Presidents, prime ministers, and political parties in semi-presidential systems”, Comparative European Politics, 23 February 2015, advance online publication, doi:10.1057/cep.2015.1. How much control do presidents, prime ministers (PMs) and political parties exercise over cabinet members in semi-presidential systems? This is a challenging question, as the formal and informal powers of presidents and PMs vary considerably among the countries included in the semi-presidential category. One way in which this variation can be systematized is Shugart and Carey’s (1992) differentiation between premier-presidential and president-parliamentary forms of semi-presidentialism, depending on whether the president can dismiss the cabinet. In president-parliamentary regimes, both parliaments and presidents have the formal power to dismiss the government. In premier-presidential systems, presidents are not granted any constitutional powers to dismiss individual ministers or the cabinet collectively and PMs are formally in charge of the government’s operation. Whether the executive is unified or divided, in other words whether the president is a member or an opponent of the parliamentary majority during cohabitation situations (Duverger 1996), can also make a difference for ministerial durability and the relative influence of presidents, PMs and political parties over cabinet composition. A strong presidency can loosen the party–government relationship in semi-presidential systems (Schleiter and Morgan-Jones 2009). According to Samuels and Shugart (2010), this course of action is more likely to take place during periods of unified government, provided that the president is a de facto party leader. Under these circumstances, the prime minister becomes an agent of the president. This argument is supported with consistent evidence that presidents who lacked formal dismissal powers have been able to fire PMs from their own party or coalition. However, principal–agent relations change during cohabitation, when the president opposes the parliamentary majority. Under these circumstances, the president lacks both formal powers and partisan authority over the cabinet. The article extends this argument for the case of cabinet members. Two tests are carried out. 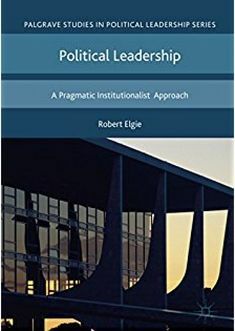 The first one asks whether the president’s apparent ability to reverse the agency relationship between parties and their minister-agents during unified government strengthens his or her control over cabinet composition. The second one looks at whether the shift from a presidential to a prime-ministerial model of government during cohabitation increases the ability of PMs and parties to fire cabinet members. Empirically, the article focuses on ministerial turnover in the Fifth French Republic across two governments: the 1997–2002 cohabitation government led by PM Lionel Jospin and the 2007–2012 government formed under PM François Fillon after Nicolas Sarkozy and the Union for a Popular Movement (UMP) won the 2007 presidential and parliamentary elections. France is a good case for this study for several reasons. First, the French convention of ministerial autonomy reduces the individual ministers’ accountability to the parliament while making their position highly dependent on the president and the prime minister (Thiébault 1994). Second, the 1958 Constitution provides conditions for both presidential and prime-ministerial leadership (Elgie and Machin 1991). Although a shift from presidential to prime-ministerial leadership does occur from one scenario to the other, constitutional experts argue that both actors participate in decision-making about cabinet composition, albeit to much varying degrees under unified government and cohabitation (Carcassonne 2011). Third, although ministers-party links have weakened considerably under the Fifth Republic compared to the Fourth Republic, cabinet members are expected to be less autonomous from their parties during periods of cohabitation. One can therefore test the extent to which the expected increase in party influence over the government under cohabitation affects the length of ministerial tenure. The data on the tenure of ministers draws on personal characteristics and political experience at the moment of appointment and on individual indicators of performance while in office. Three categories of events are used as measures of individual performance. The first one consists of resignation calls. The second one records public evidence of conflicts between ministers, presidents, PMs, and party principals. This data is collected from over 23,000 newspaper articles selected from LexisNexis. The third category of events experienced by ministers is that of individual reshuffles. The analysis confirms some of the initial expectations. Presidential pressure is strongly associated with a decrease in the length of ministerial tenure during unified government but not under cohabitation. Prime-ministerial and party control over cabinet composition increase during cohabitation. However, prime-ministerial influence over ministerial removal varies less than expected across the two executive scenarios. This result supports the view that intraparty ties become more restrictive under cohabitation, when the prime minister acts as a party agent, than during unified government, when parties have no ex-post control mechanisms for a directly-elected president (Samuels and Shugart 2010). Moreover, ministerial durability strengthens during cohabitation, confirming the veto-player theory’s expectations that the increase in the number of actors involved in executive decision making should gear the system towards the status quo (Tsebelis 2000; Leuffen 2009). These findings highlight two aspects of executive decision making in semi-presidential systems. First, intraparty politics is shown to influence considerably the extent of prime-ministerial control over cabinet composition. Future work could examine how party leadership positions and different ways of selecting party leaders affect the agency relationship between parties and their agents in government and the accountability of cabinet members to presidents and PMs. Second, the variation in ministerial durability under conditions of unified government and cohabitation draws attention to the asymmetrical relationship between voting behaviour and executive decision making in semi-presidential systems. Voters assign executive decision-making responsibility to the president during unified government, while holding the prime minister responsible during cohabitation (Lewis-Beck 1997). Thus, cohabitation occurs as a result of voter dissatisfaction with the president’s status quo. However, the increase in the number of actors involved in executive decision making during cohabitation may limit the prime minister’s ability to change the status quo markedly. Conversely, a vote in favour of the status quo during unified government may be followed by cabinet instability as executive decision making is concentrated in the hands of the president. More research on the factors based on which voters assign decision-making responsibility to the president and the PM under unified government and cohabitation could clarify the relationship between voting behaviour and outcomes of executive decision making in semi-presidential systems. Carcassonne, G. (2011). La Constitution. 10th ed. Paris: Seuil. Duverger, M. (1996). Le système politique français. 21st ed. Paris: PUF. Elgie, R., and Machin, H. (1991). France: The Limits to Prime-ministerial Government in a Semi-presidential System. West European Politics 14(2): 62–78. Leuffen, D. (2009). Does Cohabitation Matter? French European Policy-Making in the Context of Divided Government. West European Politics 32(6): 1140–60. Lewis-Beck, M. S. (1997). Who’s the chef? Economic voting under a dual executive. European Journal of Political Research 31(3): 315–25. Samuels, D., and Shugart, M. S. (2010). Presidents, parties, and prime ministers: how the separation of powers affects party organization and behavior. Cambridge: Cambridge University Press. Schleiter, P., and Morgan-Jones, E. (2009). Party government in Europe? Parliamentary and semi-presidential democracies compared. European Journal of Political Research 48(5): 665–93. Shugart, M. S., and Carey, J. M. (1992). Presidents and assemblies: constitutional design and electoral dynamics. Cambridge: Cambridge University Press. Thiébault, J.-L. (1994). The Political Autonomy of Cabinet Ministers in the French Fifth Republic. In M. Laver and K. A. Shepsle (eds.) Cabinet Ministers and Parliamentary Government. Cambridge: Cambridge University Press, pp. 139–49. Tsebelis, G. (2000). Veto Players and Institutional Analysis. Governance: An International Journal of Policy and Administration 13(4): 441–74. This entry was posted in Europe, France, Maurice Duverger, Semi-presidentialism and tagged Cohabitation, Ministerial durability, Presidential powers, unified government on March 11, 2015 by Cristina Bucur. Maurice Duverger died on 17 December 2014 at the age of 97. He had been in a rest home for many years, too unwell to make public appearances. Here are some clips of Duverger from the ina.fr website. The first clip is an excerpt from a December 1965 programme about the first direct presidential election in France after the 1962 constitutional reform. The second clip of Duverger shows him in a car during demonstrations in Paris in May 1966. He has been invited to comment on events. There is footage of Duverger at 1 min. 20 secs. The third is from May 1968 where Duverger talks about the student riots that were shaking the country. There is a further clip from 1976 where he is talking about a new book that had just published. The final clip is a news report from October 1987. The item is about the National Front’s campaign against absenteeism by deputies in the French National Assembly. There are comments from Prof. Duverger at 1 min. 55 secs. Other clips are available too. This entry was posted in Maurice Duverger and tagged elections, Maurice Duverger, semi-presidentialism on December 23, 2014 by Robert Elgie.